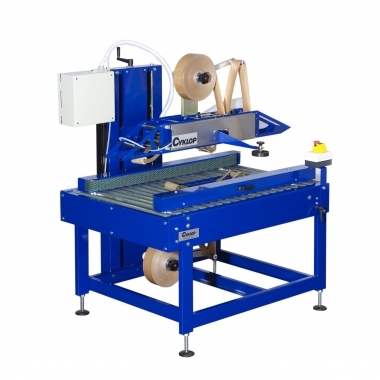 The case sealer Zumet Easy is suitable for sealing large quantities of boxes of differing dimensions with paper adhesive tape. Closes both the bottom and the top firmly. Machine settings are easily adjustable by the operator.